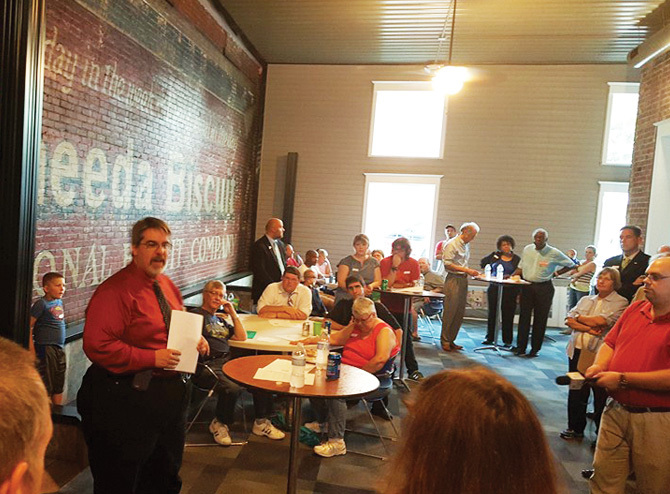 On Sept. 17, organizers of The Avenue North Grand Improvement Association held a first public meeting at the relocated offices of Goodenow Insurance at 700 North Grand Ave. E. The purpose was to formally introduce the organization and invite greater participation in a process intended to lead to a formally organized enterprise. 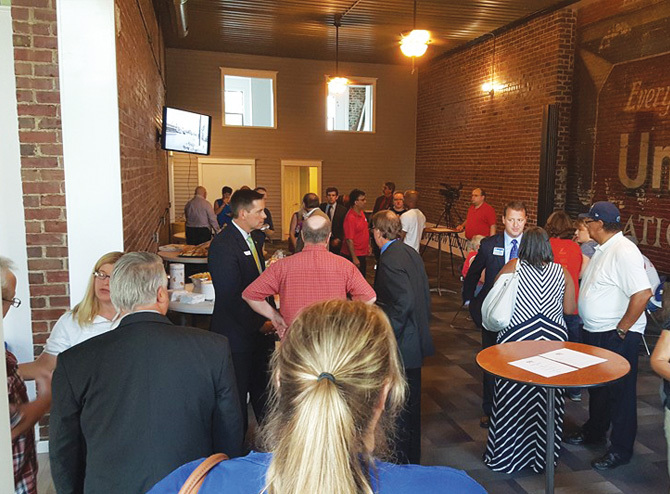 Monthly meetings of a small start-up group which had begun last May led to this mid-September kick-off. Brandon Damm, marketing coordinator for State Farm (201 N. Grand W.) is coordinator for the new association. 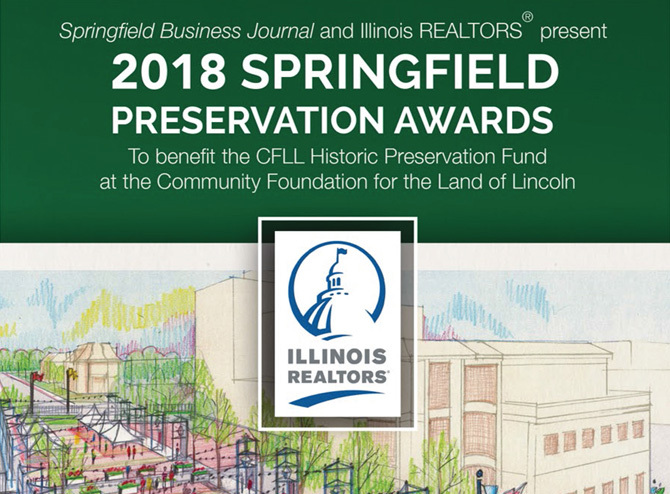 Damm said that representatives from State Farm, Alf Insurance, Goodenow Insurance and Noonan True Value Hardware along with neighborhood associations in Lincoln Park, Enos Park and Oak Ridge were all involved from the start. Recently, aldermen Doris Turner (Ward 3), Andrew Proctor (Ward 5) and Jim Donelan (Ward 9), all of whom serve North Grand constituencies, came aboard as well. Gloria Carriere is very satisfied with the upturn in traffic since Avenue Thrift Shop moved from the northwest corner of Walnut at Jefferson to 830 North Grand Ave. E., home of the last Watt Bros. Pharmacy, helping to create one of the busiest intersections in Springfield. Owner Jason Stuebs relocated three years ago this summer. “It’s been great,” she said. “We had a real visibility problem at the old location. By the time people saw us, it was too late to turn into the parking lot.” Stuebs, who happens to be Carriere’s son-in-law, plans to make improvements soon. “We heard about the first public meeting through the grapevine and look forward to learning more as things develop,” she said. East Side Marine (2525 North Grand Ave. E.) has been a fixture on the North Grand curve for the past 20 years. The site has operated as a boat shop since the 1960s (although they are quick to point out that they do not sell canoes). Owner Steve Poe was not aware of the new association, but said he takes pride in being a “north ender.” The location, relatively close to Lake Springfield and nearby I-55, has allowed development of his market north into the 309 area code in addition to an established local clientele. He has found the sense of community somewhat lacking, but is very satisfied with his success and that of the businesses on either side of his shop. “We talk fairly regularly,” he said. Don Goodenow, owner of Goodenow Insurance, formerly of Eighth Street but now settling into the extensively renovated former library, said the completion of the renovation of the building he acquired in 2011 came faster than expected. “We had a lot of encouragement from City Hall, and the timing is right,” he said. He appreciates the greater visibility for his business on the north side of “the avenue” and easy parking thanks to the cooperation of Noonan’s True Value Hardware, a few doors east. At present, public input is invited during the monthly meetings at Goodenow Insurance and through the asssociation’s Facebook site: Facebook.com/avenueassociation.